For so long I use to relate the world 'elopement' with running away to Vegas and getting married by Elvis in a little white chapel. Perhaps I watched too many movies growing up. In the past few years my thoughts about elopements have changed. I love how stripped down they are. How they are less about the traditions and more about what a wedding really is...two people deciding that they want to spend the rest of their lives loving each other. That's what Felina + Max did. They had been together for many years + a big fancy wedding was not their thing. 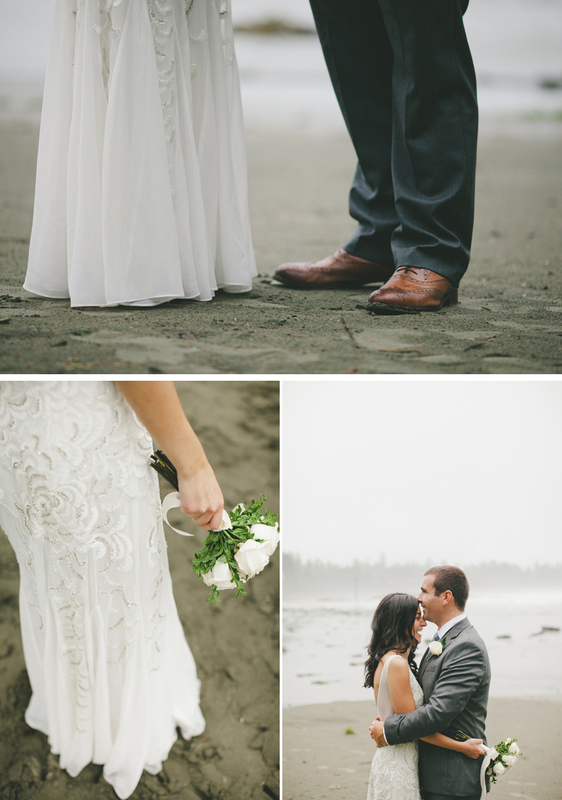 Instead they took a trip to Tofino with their dog, bought a dress + a suit, hired the cutest officiant ever, and brought us along to document it all (and be their witnesses...that was a first for us). I loved how peaceful the entire day felt. Felina + Max spent the morning getting ready together in their hotel room at the beautiful Wickaninnish Inn. Although it rained for most of the day, I wouldn't have changed a thing. 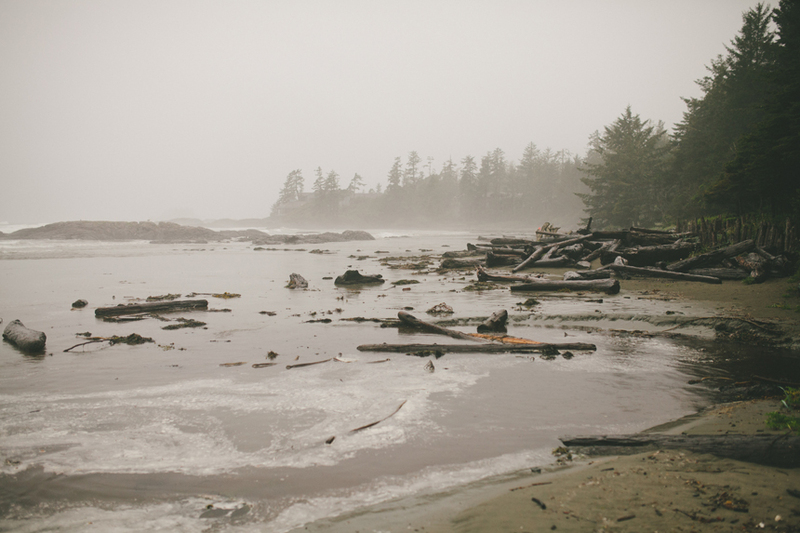 The rain didn't stop these two from getting married on the beach or getting portraits taken outside. I love working with couples who are adaptable + don't stress about the things they cannot control. Although shooting in the rain has it's challenges, when you have a couple like Felina + Max who aren't afraid to get a little wet you can still create really beautiful images. The rain added a feeling of romance which was perfect for such an intimate occasion.